Damian is an Honorary Associate with the UTS Business School. 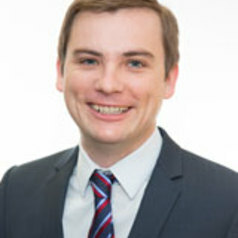 His main research area involves examining the connections between education and work. This spans the apprenticeship and traineeship systems, students and their participation in the labour market, and how well qualifications prepare people for jobs in the modern labour market. He has held roles at TAFE NSW, the NSW Department of Industry and at the Workplace Research Centre in the University of Sydney Business School. Before then, he worked for three years at the National Centre for Vocational Education Research (NCVER) in Adelaide and was a postdoctoral researcher at the University of Duisburg-Essen, Germany. He has a PhD in industrial relations from Griffith University.